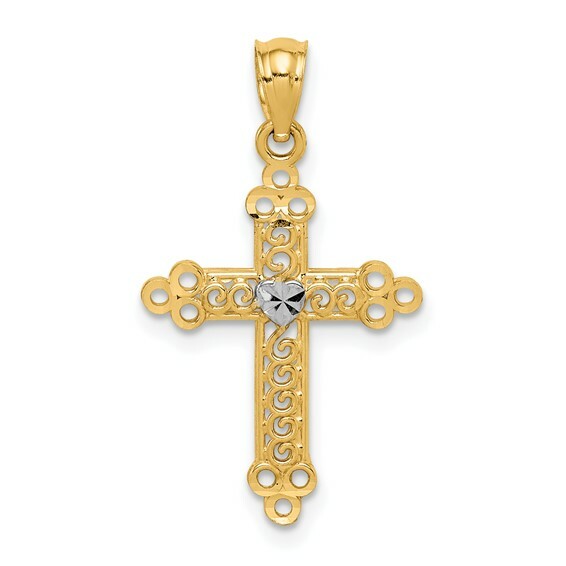 14k yellow gold budded cross pendant has a rhodium-plated heart in the center. Item measures 5/8 inch wide by 3/4 inch tall without loop and bail. Diamond-cut cross has an open back. The budded cross represents the Holy Trinity with a trefoil at each end of the cross. Weight: 0.5 grams. Made in USA.